We all know that death is an inescapable part of life. With that realization comes the need to plan, in some way, for this eventuality. Believe it or not, most Americans do not have an appropriate plan for what happens to their estate after their deaths. A common question that many clients have when they first begin to consider the need for estate planning is: what is the different between estate planning and having a will? In other words, aren’t they the same thing? Not at all. The purpose of estate planning is to prepare you and your loved ones for your death as well as incapacity, if that should ever happen. 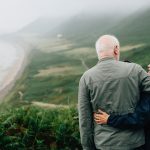 The difference between estate planning and a will is that estate planning is comprehensive and it often includes a will. 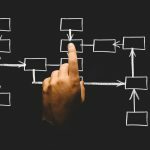 However, there are a wide range of estate planning tools that you can take advantage of, depending on the goals you have for your estate plan. Many people equate the process of estate planning to the creation of a last will. In fact, a will is not the best choice for many people. If you use a last will to state your final wishes, the inheritors would receive lump-sum inheritances. Not everyone is a good money manager, and it can be disconcerting if you have a spendthrift in the family. To respond to this, you could create a revocable living trust and use the trust as the centerpiece of your estate plan instead of a will. You do not lose control of the assets while you are living so a living trust is one option. There are many different tools in the estate planning toolkit, though. You should explore the possibilities and make fully informed decisions. Incapacity can often occur unexpectedly. It can result from both physical and mental ailments that might occur suddenly. The legal definition of incapacity in the context of estate planning is the ability to understand the nature of your affairs and assets, and then to be able to manage them appropriately. Being unable to make appropriate decisions on your own behalf can be seen in incapacity. If you do not have an estate plan, the result may be a court-supervised conservator or guardian appointed to assist you. If you chose to include a revocable living trust in your estate plan, one advantage will be a greater ability to deal with incapacity. Unfortunately, many elders become unable to handle their own finances eventually, with Alzheimer’s disease being a leading culprit. In the trust declaration, you could empower a disability trustee to administer the trust in the event of your incapacitation. The other major purpose of estate planning is to plan how your estate will be distributed upon your death. 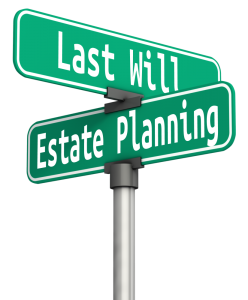 One of the main estate planning tools that deals with what should be done after your death is the will. The last will and testament is essentially the written instructions you provide for how your estate should be distributed after you die. With a will, you can nominate a guardian for your children, in case they are still minors at the time of your death. One disadvantage of a will, however, is that your estate property will go through probate before that property can be distributed. In many cases, a trust or other planning tools are options to avoid this probate process.